Yacht Trans Lines, is in the Business of Selling, Import, Export for of Engineering, Finance, Logistic and Transportation / Arrangements, Services. Yacht Trans Lines has its main operation in Dubai, U.A.E and has recently opened a branch office in Newport, Rhode Island. In addition to the above we also have worldwide partners and offices / agents that we constantly work with. Yacht Trans Lines. 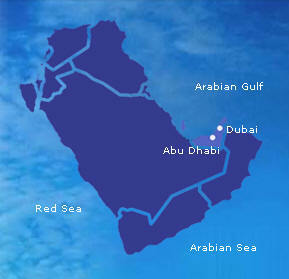 Dubai United Arab Emirates operation in Dubai to all kind of Yacht services from Australia, New Zealand, United Kingdom, Austria, Bahrain, Barbados, Belarus, Belgium, Benin, Bosnia and Herzegovina, Brazil, British Indian Ocean Territory, British Virgin Islands, Brunei Darussalam, Bulgaria, Burkina Faso, Cape Verde, Cayman Islands, Central African Republic, China, Cocos (Keeling) Islands, Cook Islands, Cote D\'ivoire (Ivory Coast), Croatia, Cyprus, Czech Republic, Denmark, Djibouti, Eritrea, Estonia, Fiji, Finland, France, French Guiana, French Polynesia, French Southern Territories, Georgia, Germany, Gibraltar, Greece, Hong Kong, Hungary, India, Indonesia, Iraq, Ireland, Islamic Republic of Iran, Israel, Italy, Jamaica, Japan, Jordan, Kenya, Korea, Democratic People\'s Republic of, Kuwait, Liechtenstein, Luxembourg, Madagascar, Malaysia, Maldives, Malta, Mayotte,Micronesia, Mo naco, Mongolia, Morocco, Netherlands, Nigeria, Norway, Oman, Pakistan, Philippines, Poland, Portugal, Qatar, Romania, Saudi Arabia, Senegal, Seychelles, Singapore, Slovakia, South Africa, Spain, Sweden, Switzerland, Syrian Arab Republic, Thailand, Togo, Tonga, Tunisia, Turkey, Turks & Caicos Islands, Ukraine, United Arab Emirates, Vanuatu, Venezuela, Viet Nam, Yemen, Yugoslavia. 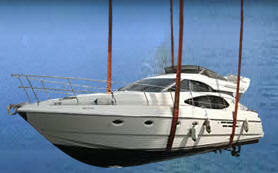 Electronic Mail: info@yachttranslines.com. PLEASE Copy and Paste. Yacht Trans Liness a member of Professional Memberships in United Arab Emirates (and abroad).